As we get older, an important gland begins to atrophy, or get smaller. It is the thymus gland, which is a lymphoid gland comprised of two identically sized lobes, located behind the sternum (breastbone) but in front of the heart. 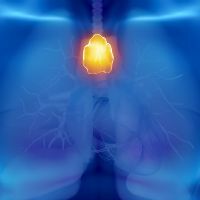 Studies show that dietary antioxidants may help to protect the thymus. "A key component of the immune system, T lymphocytes are produced by the thymus. But, with aging the thymus atrophies, resulting in progressively reduced production of new T cells. Howard T. Petrie. From The Scripps Research Institute (TSRI; Florida, USA), and colleagues devised a computational approach for analyzing the activity of genes in two major thymic cell types – stromal cells and lymphoid cells, in a mouse model. The team found that stromal cells were specifically deficient in an antioxidant enzyme called catalase, which resulted in elevated levels of the reactive oxygen by-products of metabolism and, subsequently, accelerated metabolic damage. To confirm the central role of catalase, the researchers raised levels of this enzyme in genetically altered animal models, resulting in preservation of thymus size for a much longer period. This means that a good diet nutritious in vitamins and anti-oxidants, as well as supplementary anti-oxidants, are important in preventing the aging process.